THE POCKET COACHES - DR. SARAH JANE ARNOLD, CPSYCHOL. Stress, distress, chronic anxiety, depression, loss, and many other human experiences can leave us feeling as though we have no power - no ability to make changes for ourselves. This belief is reinforced, time and time again, as we repeatedly try to control the things that we cannot actually control. The more we struggle against our automatic internal experiences, the more disempowered we will feel. - Notice and understand your stress reactions. - Cultivate a mindful way of being in response to stress/distress. - Respond to your body in a way that helps you. - Understand and respond to your emotions in a helpful way. - Adaptively respond to your thoughts and urges. - Consider the different ways in which you can respond behaviorally to internal and external situations that may be triggering your stress. Its contents are inspired by - and grounded in - Acceptance and Commitment Therapy (ACT), Mindfulness, Dialectical Behaviour Therapy (DBT) and Cognitive-Behavioural Therapy (CBT), which are proven to facilitate psychological well-being. There are additional recommended resources too. I hope that this Pocket Coach will strengthen your belief in your ability to cope with stress, and activate your body’s parasympathetic nervous system more often, so that you can enjoy a greater sense of peace and autonomy in daily life. This book isn’t a cure-all for life’s troubles. You will still experience stress, and you will forget to use these techniques sometimes. Forgive yourself when you get sucked into old ways of being. It takes time and patience to learn new ways of relating to ourselves and others, but we can! You can learn alternative, helpful ways of responding to your thoughts, urges, feelings, bodily sensations and situations. You can enable yourself to experience better mental health. This book will show you how, and guide you on your journey. Identify and understand, in detail, what gets in the way of you building and enjoying genuine confidence. Part One will support you to think in-depth about the stress-related physical sensations, challenging emotions, automatic thoughts, beliefs and behaviours, resistance, and lack of skills, knowledge and experience that contribute to your unwillingness to try. ​Learn more about what you can do to address these blocks mindfully, and overcome them in time. Part Two will introduce you to some really helpful self-help tools, like Mindfulness, which will support you to cope well with difficult experiences, enhance your self-belief, and increase your willingness to practice confidence as an action. ​The information and techniques within this book are inspired by - and grounded in - Acceptance and Commitment Therapy (ACT), Mindfulness, Dialectical Behaviour Therapy (DBT) and Cognitive-Behavioural Therapy (CBT), which are proven to enhance psychological well-being and facilitate the development of confidence. You will find some excellent additional resources at the back of this book too. With curiosity, openness and the willingness to read on, you can move closer towards having a deeper understanding of your struggle with confidence. With time, patience, new learning, compassion and practice, you can become the person that you want to be – the person that you truly are. What acts of kindness do you offer yourself? What do you do, in your daily life, that reflects kindness towards others? ​What acts of kindness do you do for the world around you? Self-reflection is a powerful tool. It facilitates self-insight, helps us to understand why we are the way we are, supports us to notice the impact that we have – or can have – on others and ourselves, and enables positive change. It allows us to notice what we like and dislike so that we can be the kind of person that we want to be. - deepen your understanding of what kindness means to you. - enable you to identify when and how you might like to be more kind. - enable you to understand insomnia, including how it can evoke your stress reaction, why this happens, how our coping strategies can make it worse, and the costs of battling with insomnia. - offer advice on the lifestyle factors, bedroom environment, evening time activities and means of winding down that can facilitate good quality sleep. - help you to build a new, healthy sleep schedule (routine). - support you to cope well with sleeplessness in the bedroom, including how to manage your stress reaction to insomnia. - advise on what to do if you really can’t sleep. - provide tips for the day after a night of insomnia. - summarize the key components of a healthy sleep schedule. 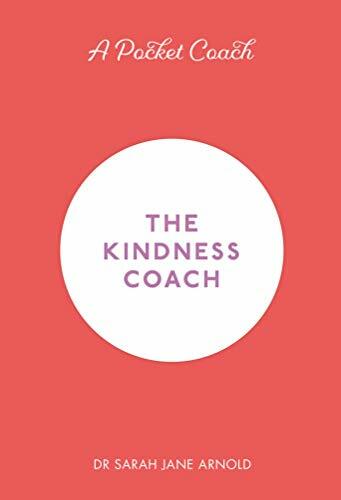 The contents of this coach are primarily inspired by – and grounded in – Acceptance and Commitment Therapy (ACT) and Mindfulness; it draws upon some Cognitive Behavioural Therapy (CBT) concepts too. All of these approaches have been proven, empirically, to be helpful for people with sleep problems. It’s my sincere hope that it offers you a fresh and helpful perspective on insomnia, and the ways in which you can help yourself when you just can’t sleep. For those of us who enjoy/prefer audio-books, O'Mara Books have teamed up with audible to offer a wonderful alternative to the hardback and kindle versions of the Pocket Coaches.